tax treatment of non-profit organizations in the cross-border context. The book as a whole offers an incomparable critical assessment of the strengths and weaknesses of the Court’s reasoning and its path through the complex field of cross-border income taxation, particularly in the area of the compatibility of national tax legislation with the fundamental freedoms, which continues to be a powerful driver for changes to existing tax laws. For legal academics, this is a unique and fundamental source of essential information and analysis. 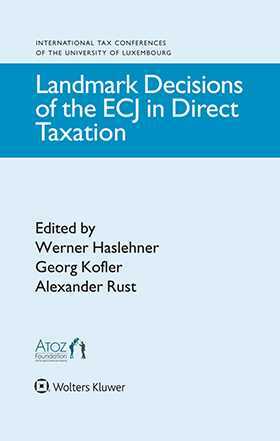 Crucially, although valuable as a ‘snapshot’ of the current state of EU tax law, this book will remain relevant for practitioners and policymakers as jurisprudence continues to develop over the years to come. CHAPTER 1 Objective Ability to Pay: The Gerritse Case Edoardo Traversa. CHAPTER 2 Subjective Ability to Pay: Schumacker F. Alfredo García-Prats. 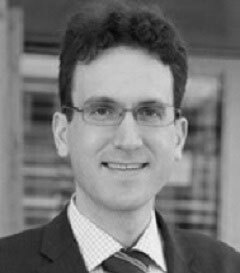 CHAPTER 3 Dividend Taxation: Outbound and Inbound (Verkooijen and ACT Group Litigation) Joachim Englisch. CHAPTER 4 The Taxation of Permanent Establishments in the EU: Avoir Fiscal and Its Legacy Werner Haslehner. CHAPTER 5 Marks & Spencer: A Landmark Decision? Isabelle Richelle. CHAPTER 6 Exit Taxation: De Lasteyrie du Saillant Kelly Stricklin-Coutinho . CHAPTER 7 A Landmark Decision in the Field of Abuse: Cadbury Schweppes Stella Raventós. CHAPTER 8 Bachmann: Does the Cohesion of the Tax System Justification Still Have a Right to Exist? Dennis Weber. CHAPTER 9 Juridical Double Taxation: Kerckhaert and Morres Volker Heydt. CHAPTER 10 Free Movement of Capital and Third Countries: Test Claimants in the FII Group Litigation Pasquale Pistone. CHAPTER 11 The Taxation of Non-profit Organizations after Stauffer Anzhela Yevgenyeva.